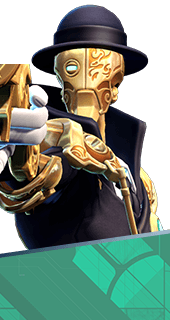 Distant Time is an Augment for the Hero Hero Name in Battleborn. Increases Temporal Distortion casting range. +30% Cast Distance. You cannot have both this augment and Long-Haul Hoodini. It's either one or the other.